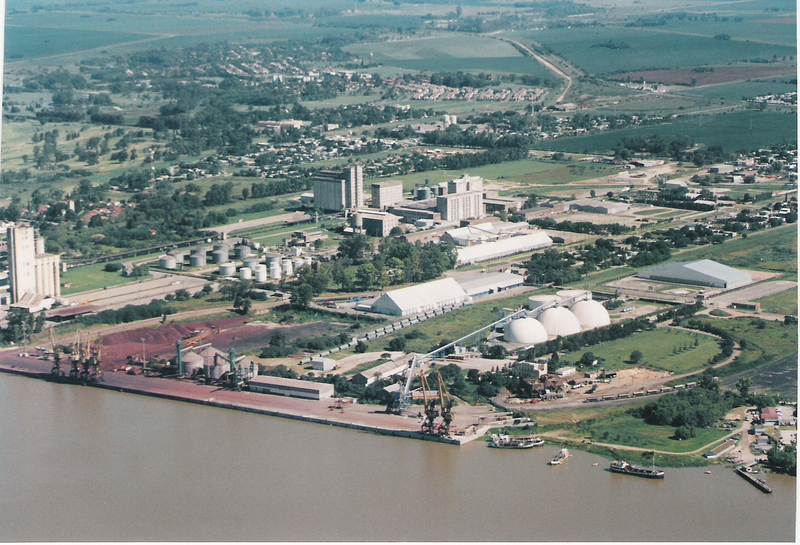 San Nicolás is the northernmost city in the province of Buenos Aires and has abt. 130.000 inhabitants. The town has an important commercial activity that serves a vast farming area. 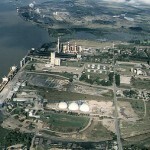 The main industry is SIDERAR, the largest steel mill in the country, and there is also a large power plant. It is served by the Nuevo Central Argentino railway which connects the city with Santa Fe, Córdoba and the city of Buenos Aires. 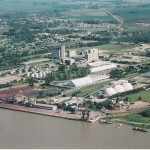 The Santa Fe-Buenos Aires freeway offers a good connection with the main industrial centers as well as with other highways into the Pampa region. 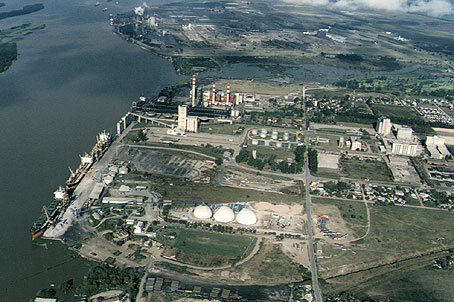 The closest commercial airport is in Rosario, some 60 km away, with domestic and international flights. a) Km 352. Puerto Nuevo (New Port) Open quay berths (A.P.B.). c) Km 347,5. 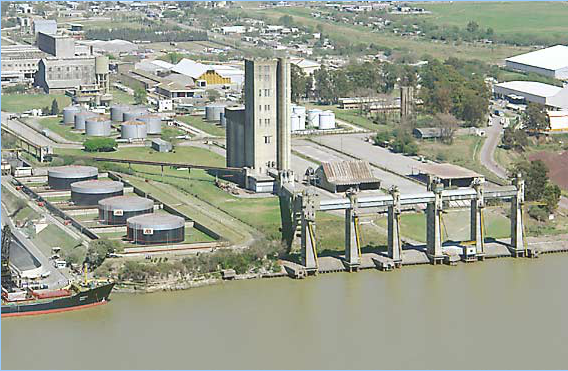 Central Térmica San Nicolás – Power Station. d) Km 344,5/347. Ing. 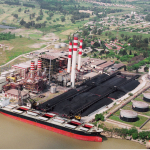 Buitrago Port – Steel plant, import/export berths. There are several official anchorages for vessels obliged to wait off Puerto Buitrago, Ramallo, San Nicolás and Villa Constitución and Masters and Agents should ensure that Pilots are properly instructed in this respect to avoid possibly having to shift anchorage if there is any misunderstanding. 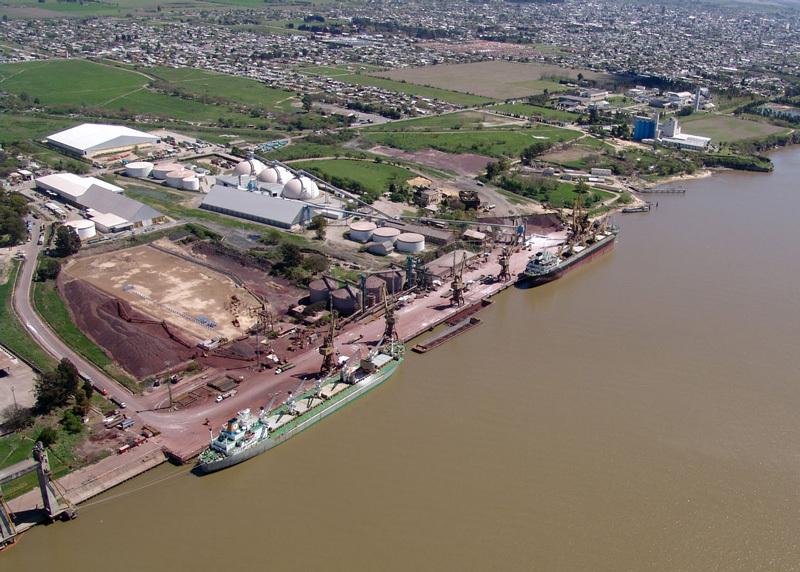 To datum: Puerto Buitrago Mineral berth 6,20 m (20´4´´) -6,80 m (25´7´´) Commercial berth 8,60 m (28´2´´) -9 m (29´6´´). Central Térmica 9,80 m (32´2´´), Puerto Nuevo 8 m (26´2´´) -8,70 m (28´6´´). Puerto Nuevo Access Channel 7,80 m (25´7´´). 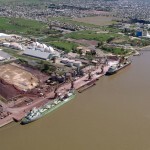 As per contract Hidrovía S.A. has to maintain least depth of 10,30 m (34 ft) in the main channel route, in relation to an agreed reference level. LOA 230 m for vessels intending transit Mitre Channel, otherwise no official LOA/Beam restrictions. 5/2 days preadvise to berth operators. Once berth assigned Coastguard (PNA) to be informed. San Nicolás Prefectura Naval Radio Coastguard (PNA) call-sign L6G VHF ch 12 (Continuous). 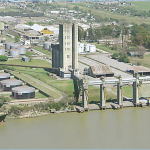 Port pilots are stationed at Rosario and may be chosen from any of the associations offering their services. 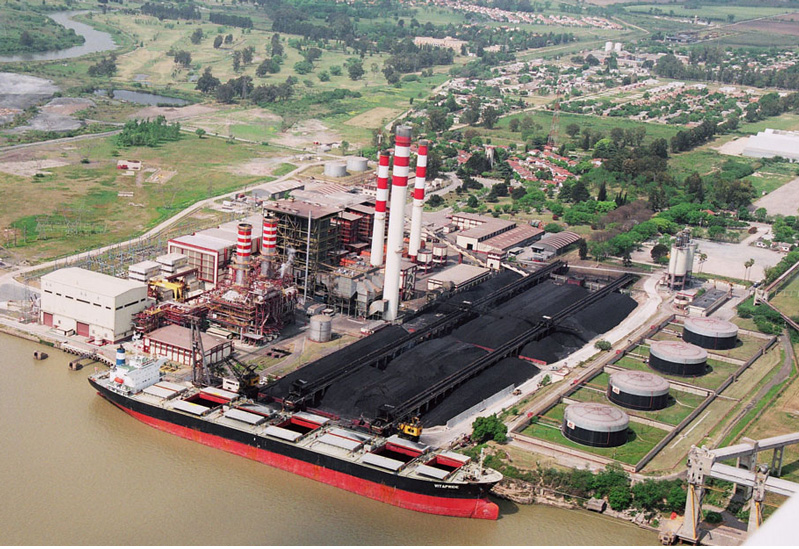 Paraná river pilots may be ordered from any of the Buenos Aires or Rosario companies offering their services. Not compulsory for berthing/unberthing, however port pilots may suggest the use of tugs under certain conditions, according to vessels LOA, maneuver or berth. Nearest available tugs stationed at Villa Constitución. Please contact your Ship Agent for further information. There are 13 hotels, 1 to 3 star categories. Should it be necessary, bunkers can only be supplied in small trucks or trailers. Available by barge or truck. Available at Municipal hospital and private clinics. At New Port berth only, 380 V.
Supplied by pipelines to all berths. Supply rate about 6 TPH. One licensed company available for hold/cargo fumigation. Available at elevator berth only. Local firms can carry out limited repairs. Victuals and usual kitchen stores available. Deck and engine stores only from Buenos Aires with sufficient pre-advice.